The Roof Maker Inc., is the team that is ready, willing, and beyond capable of taking care of your Bald Head Island roofing contractor service needs. We take great pride in the work that we do and that shows in the results we are able to get for each and every client we partner with. It’s vital that you find a reliable Bald Head Island roofing contractor because it’s someone you’re going to need to call from time to time. Your rooftop is the most important feature of your home and taking good care of it should be your top priority. The good news is that by having a reliable go-to professional already lined up, we can make it our priority, as well. Don’t take chances when it comes to the quality of materials or workmanship that goes into your home. Don’t forget to schedule your annual inspection with a professional. In addition to that, have one conducted following any severe storm activity. Make it a point yourself to also do a visual scan from ground level every so often. It’s important to stay current with the condition of your rooftop instead of waiting for a problem to arise. Don’t ignore the presence of black streaks. It’s not just about visual aesthetics, these streaks are actually a type of asphalt granule eating algae. It means your roofing is literally being slowly destroyed the longer you wait to have it cleaned and taken care of. Of course, immediately deal with roof repairs or things will only get worse. 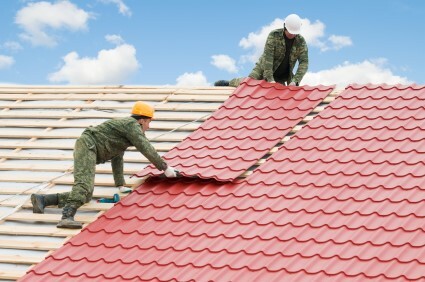 Make it a point to call on us when you find yourself in need of a Bald Head Island roofing contractor.